One of my goals this year was to finish at least five series that I started a long time ago. This one was at the top of my list. The only reason I hadn't finished was the weirdness of the audiobook for book three being unavailable. I would check periodically, but nope, they didn't seem to want release it. And then, magically, it came out. Sure, I could have just read the book, but when you've listened to the other volumes, you really want to finish the way you started. The wait was worth it. 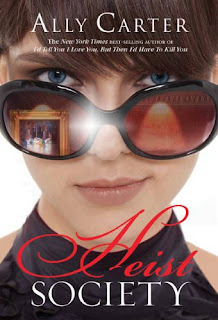 It had been so long since I listened to Heist Society and Uncommon Criminals that I had to tackle them again. At double speed, I got done in no time, and then on to Perfect Scoundrels. The gist - Katarina Bishop grew up in a family of thieves and con-men. She has learned the art of deception, scopes out every room she enters, and has a network of professionals at her fingertips with very specific skills. But she wants a normal life, and she thinks she's found it until she receives word that her father is being accused of a theft he didn't commit. Kat gets sucked back into that world, but she comes to realize that being the thief doesn't have to make you a criminal. This is really Ocean's Eleven for teens. Each crew member brings something different to the group, and the scheming is just as exciting as the actual plan. I'm especially fond of all of the names of the cons, wishing they could have each been described in detail. For a good part of the series, Kat reminded me of Harry Potter - the stubborn chosen one who can't accept help. But just as Harry came to understand, Kat eventually realized she was stronger with her friends. And then there's Hale, rich boy Hale who finally finds a family in a group of thieves. He's kind of dashing, a wee bit mysterious, and a little swoon. The relationship wasn't overdone, which I appreciated, and it never got super angsty, which was also very, very nice. Overall a great series that I hope we get more of one day. Light, fun, and exciting. The perfect escapist read. I love this series. And I agree with Ocean's Eleven for teens. 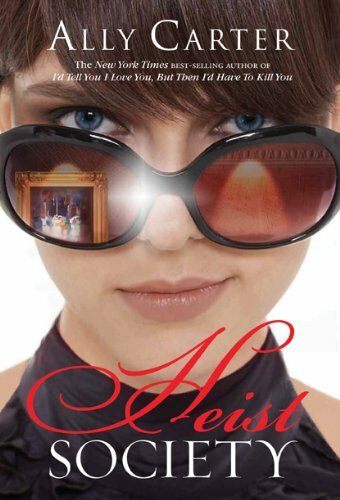 It's the first heist books I've ever read.